Most of the resources we provide cater for approximately 2 to 4 children but by combining them together you can cater for many more with helping develop key learning areas for the children. To show how this works and enhance the value of the brick we have created some bundles. By using the complete bundle you can cater for approximately 20 children at the same time. 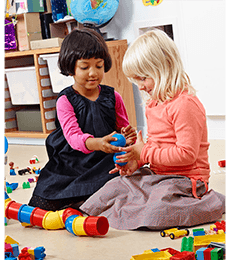 The bundles are versatile and children can rotate from one resource to another or, with multiple bundles, all children can work with the same resource at the same time. 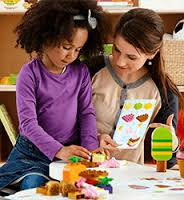 Sets in the bundles can also be used separately during different parts of the day or in different areas of the classroom. 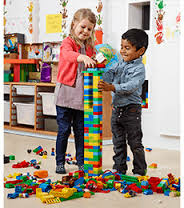 Or they can be combined to extend play scenarios and accommodate even more children, thereby enhancing collaboration. With these bundles teachers can be assured that they are facilitating learning in several areas as well as catering to the variety of interest of the children. 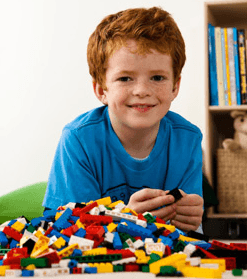 Explore the five key learning areas in which LEGO Education Preschool focuses.